The concept of detoxing the body is a pretty appealing one, especially if you go through phases of downing one too many burger and beer meals. (Who doesn’t.) Getting rid of toxins sounds like a great way to restart the body and move on with healthier intentions on the agenda, and there are a lot of products out there that claim to help you do just that. 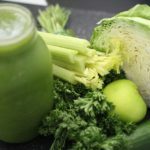 Juice cleanses are really popular for this reason, as are teas and pills that promise to contain helpful ingredients that are key for detoxing. But the truth is, that the body is pretty naturally adept at cleansing and detoxing itself. The liver, colon and kidneys all play their part in removing harmful things from the body, and don’t forget that the skin is an organ as well. The skin helps with the detoxing process simply by sweating crap out. The body doesn’t want any toxins hanging around and causing it problems, so it’s going to work pretty hard at removing them. Also, keep in mind that the word toxin is used as an umbrella word for a bunch of stuff. The word is used liberally on the labels of detox products, and it sounds bad, so it makes you think you need some help to remove them. But there are many different things that could be considered a toxin. Pesticides and chemicals from fruit and veggies apply, as does alcohol, and even sometimes “bad bacteria.” But when any of those things are present in the body, it’s going to get them out whether you’re intentionally cleansing or not. Not to mention…it appreciates when you don’t put those things in it to begin with. Which brings us to the next thing to keep in mind. Cleanses generally require that cut out things like alcohol, caffeine, sugar, excess carbs, etc., but that’s just good advice in general since those can all have negative effects on the body. There’s no proof that adding a detoxing product to a clean diet is going to help you detox any faster than you naturally would while avoiding those things. Alcohol, as lovely as it can be, is quite harsh on the body. So yeah, if you stop drinking it your body won’t have to work as hard to keep detoxing it back out. Paying money for teas and pills that promise to help you excrete toxins for that reason just generally isn’t necessary. Most juice cleanses are full of sugar from the fruit juice, so that’s necessarily a better choice than just eating reasonable amounts of unprocessed and all natural foods. If you feel the need to detox, you’re better off switching to the clean stuff, plus getting in some good cardio to work up a sweat, and then spending a few minutes here and there in a sauna to work up an even bigger sweat. Keeping your body active in general is a great way to make sure that everything is functioning at it’s full potential. When we get stressed out for example the body starts producing more of the stress hormone cortisol, which can have all kinds of negative effects on the body from disrupting our sleep to reducing the function of the immune system. Exercise however, is one of the best ways to counteract the effects of cortisol and can your reduce stress overall in both a mental and physical sense. That’s a lot more than a detoxing juice cleanse can do.